That this might eventually create a supply problem is clear. Alas, “eventually” got here in a hurry. The developer is still sitting on 10 units. Of them, four are listed for sale on the Multiple Listing Service (MLS). Many of the sold units were acquired by “preconstruction” condo flippers. 69 of these units are now listed for resale on the MLS. Thus a total of 79 units are either listed for sale or still owned by the developer. That’s 24% of the total units. To attract potential buyers, 14 of these units have been listed for sale at a loss after the standard 6% commission. And yet, there have been zero sales reported on the MLS. Preconstruction condo flippers make a leveraged bet. They buy condos from the developer during the construction phase with a small deposit and make additional payments as construction progresses. In a booming market, lenders are eager to extend these short-term loans. When the building is completed, the preconstruction flipper closes the sale and then tries to unload the condo at a profit. During good times, developers sell all their units either to end-users or to flippers within a few months of completion. But now, developers are getting stuck with unsold units, and flippers cannot flip. In the Brickell area alone, 2,547 condos are listed for resale. In 2016, only 1,017 sales closed. In Q1 2017, 227 sales closed. At the Q1 rate of sales, there is 34 months of supply. Because there have been zero resale transactions at Bond Brickell, the actual market value of the units in the project is uncertain. 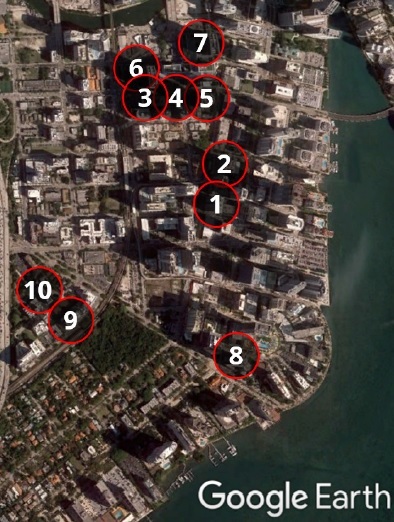 With 14 out of 69 Bond Brickell resale listings listed for a loss, asking prices indicate that Bond Brickell units cannot be resold unless sellers are willing to take a loss on resale. And even then…. 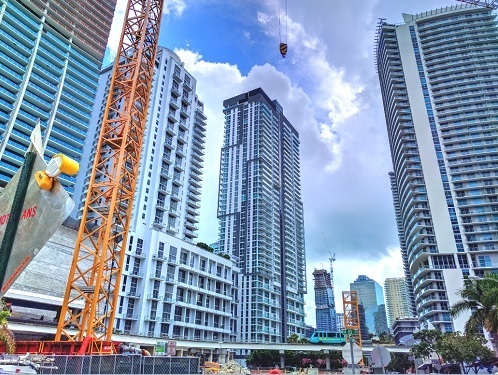 The fact that there have been zero resales so far at the Bond Brickell – and the competition hasn’t even fully matured yet – also indicates that the loss flippers have to take might have to be significantly larger than indicated by those asking prices. When prices drop enough, there will eventually be a buyer. But the price level where buyers come out of the woodwork hasn’t been reached yet. If you think this is just happening in Miami, guess again. Scottsdale has loads of new condo projects coming on the market. One, Envy, is high amenity. I reviewed some of the listings and clicked on the tax site to look at ownership. I found several (and could probably find more) owned by a private couple in California. One unit is listed for resale in the mid 400s but was purchased last month for around $700k. The hottest ticket in town was the party to launch the Ritz Carleton project in Paradise Valley. Every single unit sold out in a night. I can only guess how large (or small) was the deposit. Some of the condo projects are apartment style flats, but many are 3 story row townhouses with no elevator. The average age in Scottsdale is over 40. One in fill project failed to sell as condo and converted to rental product. The onsite realtor had worked another 3 story project and bemoaned that it was a difficult sale and appealed to investors or trust babies as few young people can afford to buy in. Several large projects stalled after the previous crash. One successfully restarted 2nd phase and after two years is close to selling out but the resale units in the 1st phase are languishing at the same prices they were bought in 2011-2012 lows. The larger complexes with high amenities and first phase properties have “capital development fees” to welcome new owners because HOAs were set too low to pay to maintain the infrastructure. Well priced properties are still selling at the lower end. Very interesting. Do you keep tabs over the Phoenix metro area as a whole? Curious as to how the housing market is doing there. San Diego downtown has 6 cranes going right now… all of which building condo high rises. We will see! The pictures and sales stats are frightening. Wonder how many Pension funds are gonna get hammered with this debacle…. BTW, my sister in Houston said the amount of condos and high end apartments being built inside the Loop is staggering. Seriously who is supposed to buy/rent all this stuff…in any city? Interest rates will be negative (as they are now in nominal terms) for the forseeable future. The only fools are the ones who think we have a functioning economy that needs all those condos for the next generation of workers. Expect many years real estate inflation to come. Rates will hover on average near or below zero. There cannot be a collapse in prices so long as the free money keeps flowing from the FED and other central banks. Housing will continue falling irrespective of rates. It’s the inflated price that is causing demand to crater. If it was this easy, why didn’t the Fed just lower rates every other time there was a housing bubble and subsequent collapse? The Fed is not some all-powerful entity. They have a fairly limited toolbox, and interest rates are not the be-all end-all. You could have 0% nominal interest rates (negative real), and the Fed won’t be able to stop anything if the real economy turns over and people don’t have jobs to service their monthly payments. The owner of the unit is responsible for the dues whether occupied or not. Even if it is the developer. If they do not pay the building can go after the unit. The extent to which an HOA can go after a unit owner depends on state law. In Ohio, for example, the condo association gets screwed if a unit owner is underwater on a mortgage, stops paying HOA dues and then defaults or walks away. That means that the rest of the owners can wind up paying extra to cover the cost of deadbeat owners. You mean, go after the empty unit with the keys in the mailbox? Why? If the downward pressure on supply threatens bankers, the condos will be torn down, so that the magic of the market can work. And/or the taxpayers will (once again) get stuck with the bill so that the bankers can be made whole. There is no free lunch for working people and the poor, but there is a spectacular and ongoing free banquet for Wall St. It is not a free enterprise when you are not rich and have to pick up the tab for the foolish. It’s free for the foolish. If condos are 30k a pop I’m buying as many as I can. And I’m sure I’m not the only one. There’s plenty to go around. I’m not sure I’d be paying that much for any condo though. You can buy condos right now for that amount. In 2008 they sold for 10x that amount, and someone picked them up at the “bottom” in 2012 for half that, thinking they were getting a good deal. Association fees are ~1K/mo, and assessments are probably brutal as they buildings are 30-40 years old. But they are in what is considered a premier vacation destination with some ocean view. Be interesting to see what theyre going for at the next bottom if theyre having so much trouble now when things are supposedly going so well according to the lamestream media. Interesting narrative but it doesn’t. If it did, prices would not have fallen 35% back in 2008-2012. I don’t think any city in North America comes close to Toronto’s condo building boom. I recently stayed at an AirBnB rental in a condo conversion building while on vacation in the city. The fire alarm went off at 1:30 am. I had to walk down 10 flights of stairs into the street. Many of the newer buildings with glass walls are expected to fail within 15 years of construction according to architectural experts, requiring expensive renovations and high special assessments. They are not energy efficient either. The owners better hope that the Chinese 1%ers keep coming. Right about Toronto. That drive from the airport is eye-opening. No way there can sell all those units. The photo you provided looks pretty close to the Seaport area in Boston. I count 5 cranes from my workplace. Mind you, there may be even more on the backside of the buildings that I can’t see. And the area is maybe three or four football fields total, pretty small. Just checked prices in one of the buildings that opened in late 2015, $2500 for a 375 sq foot studio. Absurd. They’re also offering 1 month free, in line with what you’ve been posting lately. 6 cranes in San Diego, checking in. All going to more high rise condos, with more projects on the way (“Coming Soon” signs on condemned buildings). One could have put the full price of a foreclosed Miami Condo on your credit card in 2010. Maybe we’ll be given that option again within the next 24 months. Ever growing pressure of the local, county, and state government to increase taxes, will just delay purchasing for ‘normal’ buyers. As water, trash, electricity, taxes, and HOA goes up, who would want to buy into these units? Even if they were cheap, the monthly expenses might be more than a typical mortgage. Just returned Sunday from Miami and the keys. Prices in the keys are still climbing after increasing 50% in 3-4 years. Its incredible the activity. The suckers look like they are lining up like it was 2006. But who knows? Easy money in the system including home equity loans on primary homes as down payments..
Just how many of these booming property markets all around the world, not just Miami, are hotbeds for money laundering activities? I hazard a guess: A lot. You better check again because prices and rental rates are falling in Miami and Miami beach and they have been since last spring. The hilarious / ridiculous thing about this is that it has all happened before in precisely the same way and in VERY recent memory. People just never (and I mean NEVER F-ing EVER) learn. Exhibit A is a guy I used to know in New York. Lets call him Tony (to protect the less than innocent) Tony bought a nice brownstone in Chelsey back in the 80’s. He renovated it into 9 condos and lived in the top floor. He did much of the work himself and was very careful with his money and even more careful with his contractors. When he finally sold the place around 2005 he netted around 6 million and promptly bought himself a 900K condo in the just completed Icon Brickell. Tony then proceeded to take the rest of his money and bought 8 or 9 other condos, either in the Icon or at other ritzy addresses around Miami. Then it all blew up. The Icon Brickell was only about 30% occupied at the time and as the flippers folded, himself included, the condo fees to maintain the building ate him alive. Tony ended up loosing everything he had worked so hard over decades to build. Should he have known better? Sure, but such is human nature and the dynamics of a bubble. People ALWAYS think “but its DIFFERENT this time” No. It’s NEVER different, the evidence is always there and always ample but again, people NEVER learn. I really despair for the prospect of humanity given all of the rank stupidity and greed I have seen over the years. Most people just aren’t any better than this and it seems that the only ones who thrive are the most ruthless who can REALLY game the system. This was painful to read. Mike, I feel for your acquaintance. This is why asset-related hype is not harmless. It drags in people who don’t know better. Oh, they learn from bubbles all right. If they can stick others with the bag when the “pop” happens, the scumbags make tons of money at others’ expense. Not the most ethical way to get rich, though…. But if the system supports plunder as a way of life, it’s a lot easier than creating real wealth by improving the lives of those around you! Mike B – that sounds like a typical human failing. People get a lucky break, in timing if nothing else, and decide they’re financial geniuses. People have a grandparent die, say. They now have this attic full/house full/house-garage-attic-livingroom full if they’re a real hoarder, of stuff that’s valuable merely by dint of being untouched for 40-50 years. “What do we do with all this stuff? I know – Ebay!” So they set up an Ebay account and start selling off the stuff. Since it’s not been looked at by anyone for a few decades, the stuff sells well and often for surprising prices. The people decide they have a real “talent” for Ebay and for buying and selling in general. The stuff starts to taper off, but that’s OK, they’re geniuses at this stuff! So, since money’s running low, they take out an Ebay credit card, which Ebay encourages people to do (at a nice high interest rate) and they start buying stuff that to them, looks just like the stuff they were selling, from places like thrift stores. Yet, for some reason, this new stuff doesn’t sell very well if at all because it’s not the same, and it’s the dregs after the real pro’s have picked everything over. But that’s OK, Ebay’s just extended their line of credit …. And now they’re paying that nice high interest rate for years, until they do a bankruptcy, are able to re-fi their house (not likely if they’re in financial trouble) etc. The same would go for your friend “Tony”. I don’t know if brownstones were priced low in the 80s but they were certainly lower than they were in the 2000s, and if he did most of the work himself, that’s better still. Essentially he got something dirt-cheap, put his own labor into it; it’s just about a once-in-a-lifetime thing. But he let the money go to his head, decided he knows “all about” buying and selling, and buys condos at market price, woops. Give everyone in the world today a $1M, or even $1B dollars and tomorrow afternoon we would have poor people again. a wise millionaire entrepreneur was asked how did he accumulate his wealth and what was the secret of his success . He replied : I always sold too early . According to Zillow there are 4,200 Condos for sale in Miami today. A Miami Condo with a For Sale price of $1M will rent today for $5,000 monthly. Mortgage, HOA dues and Taxes on that $1M Condo will cost $7,000 monthly. It seems like there are places like Miami that are just a disaster, and other places where euphoric buying just keeps going. And not deal with maintenance or pay property taxes or HOAs. At today’s prices, buying just doesn’t make sense to me. What am I missing? I am in SoCal/San Diego and the housing prices are completely absurd here with bidding wars everywhere. Well not really. Not at all. Here in SoCal, organic demand is lower today than it was in 1997. Rental rates slipping and the number of empty housing units is mind numbing. Hell…. Prices and rental rates are falling in the Bay area. We’re dealing with the same problem here in Denver . Next to zero well paying jobs being created .. the oil industry for which Denver and Colorado in general are extremely dependent on all but stalled and on the verge of a tailspin .. salaries on hold across the spectrum … everyone from the NYTimes to the WSJ MSNBC Financial Bloomberg saying Denver is ripe for a major bubble burst .. and yet .. I am not a civil engineer, but I wonder how the heck does a sandy substrate hold all these high rise condos? I notice a Miami company, HJ Foundation, specializes in Augered Piling. Apparently these buildings are perched on nearly 50 meter deep pilings, but damn, that seems like a lot of building mass sitting on a small, and soft footprint??? Are there any architects or engineers out there who can explain to me and WS readers how all this shi# is supposed to stay upright when the storms hit during hurricane season? Load path doesn’t always need to go to bedrock. I think someone mentioned friction piles as an example. In structures that are subject to uplift(wind, flooding), tension piles are specified where they penetrate rock and grouted to a bonded interval of competent rock, ie Dwydag system. Regarding pilerafts, they are merely belt and suspenders added to a traditional subgrade founded design. They’re not a pure pile founded structure design nor are they that common. In my experience, pile foundations are overkill and a subgrade founded design using spread footings or haunched structural slab are often proposed as an alternate to the pile approach. Regarding subgrade conditions; Large high live load structures are frequently found and built on clay (and sand) using spread footings. Prior to construction the area is surcharged and the clays are compressed to drive out water. The subgrade is then prepared with whatever structural fill is specified and the concrete work proceeds. Lastly…. Don’t be fooled by the myth that houses costs these stupid kind of numbers to build. They don’t. There isn’t much out there that can’t be build for $50 a square foot, with profit, anywhere. A deep sand subsurface profile can make a perfectly adequate foundation for tall buildings. Typically, the piles use skin friction between the pile and the soil to resist the downward load of the building. The contribution from end-bearing is very minor. Often there is no rock. Las Vegas is underlain by about 3 km depth of sediments. Dubai is underlain by an endless depth of the lousiest calcareous rock imaginable (and it doesn’t even contain any oil). In many cases today (Las Vegas, Dubai etc) the foundation comprises what is known as a piled-raft. The raft is a very stiff, very thick slab of concrete which in its own right must be capable of preventing the various modes of geotechnical failure – sliding, overturning, bearing etc. The raft sits on a forest of piles that use the above-mentioned friction to reduce the settlement. Wolf’s leaning tower of SF (Millenium Tower) has released only very limited geotechnical detail (understandable as serious litigation is underway). My guess, based on the sketchy data available, is that the geotechnical design went for a “cheap and nasty” form of piled-raft solution. The founding layer of dense sand is relatively thin and is in turn underlain by a substantial depth of stiff clay. Possibly, the tips of the forest of piles are merely transferring the buiding’s load onto the clay which in turn is now undergoing what is known as consolidation settlement. Such settlement can be slow and go on for a long time. All depends. If what I guess above is correct, then there is no solution except to wait and see how long the settlement continues for, and how much occurs. Doh! By trying a bit harder, just stumbled across a bit more geotechnical info re: MT. Not a “cheap and nasty” piled-raft design. Merely a very “bullish” conventional design. It happens. Glad I’m retired. Deep foundations transfer the load of the structure to the subsurface soils or bedrock. The higher the structural load the deeper the foundation and/or the more foundation elements (pilings, drilled shafts, etc.). There are a lot of other factors considered (wind load, seismic, soil settlement, soil and bedrock swelling, competency of subsurface materials such as collapsible soils including bedrock sinkhole potential. A geotechnical engineer working with an engineering geologist should always be involved in predesign and construction of projects. Sand is actually a good foundation material because it is free draining and if angular, the grains interlock with application of a load (becomes stronger). It isn’t the universal foundation material because there isn’t any such ideal material. At some point, if enough other factors are present along with the vertical loads, you have to look at deeper foundation options. See Uncle Bob’s comments. He has a good geotech knowledge. Thank you to all the commenters who’ve explained the answers to my question! There is low inventory because there is rampant speculation. I have a friend who works for John L Scott as a realtor in their main Bellevue, WA office. Last month she told me that the majority of the clients are Foreign born. And the overwhelming majority of that majority are couples from India and China. As long as that trend continues the inventory will be low and prices will increase. Of course the local politicians and their developer friends see this as a wonderful thing. Bottom line : If the Nasdaq continues to climb then Asian born immigrants will continue their buying frenzy. But if it crashes, then all bets are off. Ted kaczynski should have just bought the NASDAQ in 1996 instead of ranting and raving about FAANG owning our every thought and deed. Using borrowed money of course. I’m not so sure that having to meet your payments by using HELOC’s is sustainable. In fact I know it’s not but that’s what everyone is doing. Sold my house in Bellevue Lakemont 6 yrs ago thru John L Scott and relocated to SF bay area due to new job. Prices peaked in 2007 like everywhere else..
I’ve seen it all before in 1992 in LA till it bottomed in 1995 and again in 2006 where all of my relatives/friends were gloating about house price till it all went downhill in 2007. Well guess what? Same song and dance. Smart move on the sale. Better to be early than just a little too late. Wolf. Thank you for publishing the picture. That one does the development I saw in Miami no justice. When I pulled in on the cruise ship everywhere I saw , one condo building after another was being built. along the shipping channel. As you saw it was concentrated in the area where the picture is. . It just amazes me that these idiots never learned from 08. People I was talking to asked me about the construction. They where floored when I told them what was going on and I referred them to your site since you have written so extensively about this. I have been hearing about this bubble since 2014… and yet. things are business as usual. It seems like the fed and friends will print and print and pull every trick before they allow housing to move downwards… they need the prop tax…besides the government backed most of the lawns… so a bursting bubble means everybody pays. The trick is to get out of the job market and off the grid before the bubble bursts and the bill comes due. You don’t want to be a taxpayer after the bubble bursts. In other news, Snapchat takes a beating. If one is observant, there are plenty of cracks in the dam and the dutch boy has no spare fingers. I think Wolf points those cracks out every week, sometimes many times a week. I also think there will be and end to the taxpayer picking up the check….at last look they do not have much left to pay. It may appear to be business as usual. Appearances can be deceiving. 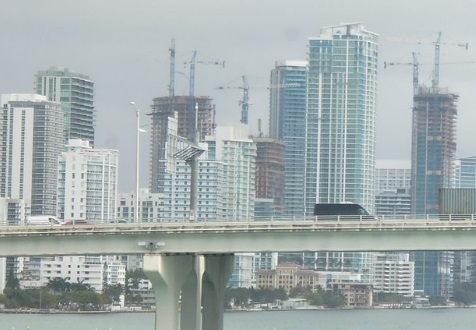 It’s fascinating that most of the things that made Miami an interesting place, have all had condos built on top of where those interesting things used to be. Or in this case, a condo. Time must have passed me by………………. How in the world can people buy properties like that, pay the insurance, utilities, re taxes, monthly fees, and maybe a mortgage and still have money leftover to eat? I guess that there must be a lot of really rich people with very high incomes running around…………. Waiting period before they receive unemployment compensation? Yep, here you have to wait for unemployment compensation or the ‘dole’ as they call it. They also calculate how much ‘income’ you make on any assets you own less your house and then deduct that from your unemployment compensation. Dividends, interest, capital gains all count against the amount and are deducted. Same goes for the old age pension (Australian equivalent of Social Security). Once you reach a certain amount of assets or income you get nothing. IIRC for every dollar you make they deduct 25 cents off the old age pension. Wage income of up to A$10,000 or so is not counted. I can see why they’re doing it (“means testing” as we call it). And I guess it’s OK if the income and asset levels are high enough. The last thing you want to do when you lose your job is burn through your only $10,000 and THEN hope for unemployment compensation. And the ATO’s quick off the trigger too. Was on the dole for a couple of months when I found a job. Notified DEET via phone, email and even went in person, then got sent for training overseas. Came back to a nasty letter from the ATO accusing me of travelling without informing them while still on unemployment benefits! Had to take copies of my employment letter, last dole statement and names of people and copies of letters I had spoken/sent to DEET before the ATO backed off. And when they back off, all that means is that you don’t get any more letters from them…it’s not as if they send you anything to say you’re off the hook. Interesting thing is, they’re nice people to freelance for. Potemkin villages – history continues to repeat itself over and over again. Call it what you want but tyranny is the oldest and most corrupt forms of civilization. history is just repeating itself again… what a a shame and such a bad time in world history. Historians will look back at this time as a very dark time – the severe blatant corruption and outward disconnection and distrust of the public with its leaders probably topples any other time in history in terms of social unrest. The thing with Florida and the Gulf coast. Where is the high tide line and water table going to be in 20 years time???? How does this figure with insurance Etc. How many of these Construction entities, are very, Phoenix like. I laughed. I’m a sucker for droll humour. It must be bad when you have to take on boarders just to make a mortgage payment. Paying triple the actual value of a house is going to be a hard lesson for tens of millions across the globe. Why anyone would pay in excess of construction cost ($50/sq ft for lot labor materials and profit) for a used up 20 year old house is a mystery. 1. The building is a depreciating asset, and therefore an expense. Eventually, it will be worth zero (tear-down). 2. The land is (hopefully) an appreciating asset. When you sell your “used up” house 50 years from now, what you will get paid for is the price of the land. Construction costs of that tear-down are irrelevant. Correct. However land isn’t worth a whole lot. There’s a globe full of it where 95% of it goes undeveloped. LOL. Sure, in the middle of nowhere where nothing grows and where no one drills for oil, land isn’t worth a lot. But in the middle of New York City or San Francisco land is worth a LOT. Location, location, location. Rents are down 5% – 10% in SF, yet property prices keep inching higher. Condo supply coming. Folks should watch out.